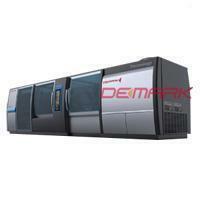 Injection Molding Machines - Demark PET Preform Mould Co. The injection molding machines are designed to work with specific system, which uses a new part of cooling and handling system featuring cooling on the inner surface of the perform without using compressed air as well as optimized cycle utilization, which is mounted on the moving platen, remains active for up to 85% of the overall cycle. The 48 cavities PET perform injection system are available from 280 to 500 tonnes and up to 72 cavities. The system for injection molding machines offer faster cycles, reduced energy consumption, smaller footprint, improved repeatability and rapid set-up operation. The RS units offer the performance required for many PET applications while two-stage is appropriate for higher throughput applications. 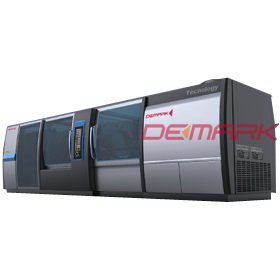 Demark injection molding machines systems offer both reciprocating screw and two-stage injection units.﻿ The PC-based controls manage all functions of our PET production systems, with optional packages to integrate auxiliaries and downstream part handling equipment. The advantages of using the injection molding machines system are various. Firstly, it provides faster cycle time, so it can improve shot-to-shot repeatability. Second, the remote Service Net Link can be connected to help you monitor the machine.